Neo-Paganism has its roots in the 19th century Romantic movement in England and Germany which saw ancient paganism as an ideological and aesthetic counter to the influence of Western modernity and industrialism. Neo-Pagan witchrcraft, also known as Wicca, was invented by Gerald Gardner and Doreen Valiente in England in the 1940’s and 1950’s, drawing from a variety of sources, including ceremonial magic, Freemasonry, and Margaret Murray’s study of medieval witch trials. Wicca was imported to the U.S. in 1963. Although Wicca is one of the the most well-known forms of Paganism, there were forms of Neo-Paganism which arose around the early to mid-20th century. These included a Celtic magical order founded by W. B. Yeats and George Russell in the 1890s, the British Woodcraft movement in the early 20th century, a student group at Cambridge in the 1930’s that tried to reconstruct a pagan witchcraft, and The Church of Aphrodite which was formed in New York in 1938. However, Neo-Paganism today is really a product of the American Counterculture of the 1960’s and 1970’s. Like the Romantics, the Neo-Pagans of these decades saw in ancient paganism a cure for the spiritual alienation of modernity. 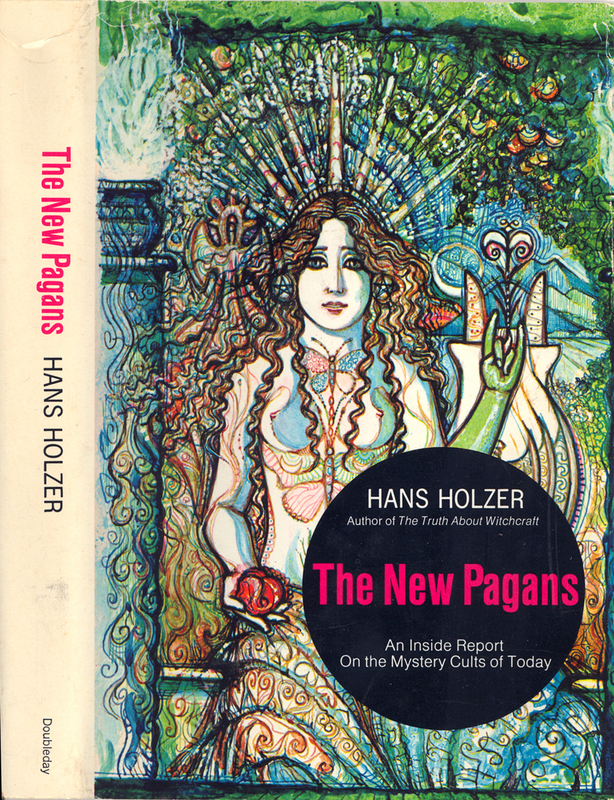 The beginning of the Neo-Pagan movement can be dated to 1967. In that year, three organizations were formed which shaped American Neo-Paganism: Frederick Adams founded Feraferia, a wilderness mystery religion; Aidan Kelly and others formed the New Reformed Order of the Golden Dawn (NROOGD); and Tim (Oberon) Zell filed for incorporation of the Church of All Worlds (CAW). Official status was granted to the CAW in 1968, making it the first Neo-Pagan state-recognized “church”. The CAW also began publishing the Green Egg newsletter in 1968, which became the most important public forum for Neo-Pagans many years and was instrumental in the formation of an emerging identity around the name “Neo-Pagan”. In the 1970’s, the movement took a decidedly feminist and environmentalist turn. In 1971, Zsuzsanna Budapest founded the Susan B. Anthony Coven No. 1, creating feminist “Dianic” witchcraft, an exclusively women’s tradition. Also in 1971, Tim Zell, the founder of the CAW, published an article entitled, “Theagenesis: The Birth of the Goddess”, which anticipated James Lovelock’s 1979 “Gaia Hypothesis”. Early forms of Neo-Paganism integrated nature religion and feminist spirituality with the mythology of Robert Graves’ book, The White Goddess, and Jungian psychology. Although Neo-Paganism draws inspiration from ancient religious myths and practices, it is a modern religion intended to meet modern spiritual needs. The primary focus of Neo-Paganism is not on historical authenticity to an ideal pagan past, but on creating a what David Waldron calls a “Pagan consciousness”, the experience of the immanence of divinity and the interconnectedness of all life. I have additional information on the origins of the modern Pagan movement. I was also one of the founding elders.